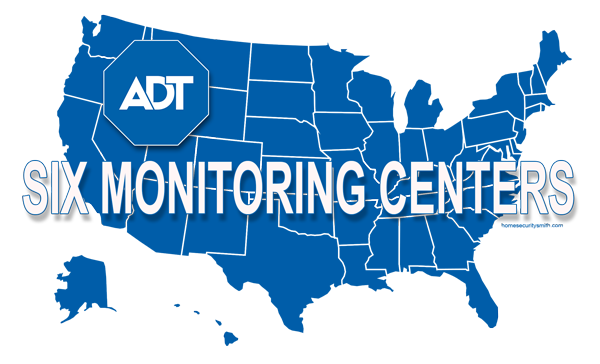 ADT covers all 50 states with six US strategically placed monitoring centers. Certain services may not be available in all areas, so please call us now to find out what services are available in your specific area. Our staff is standing by to answer all your questions and to help get you set up with a secured monitored home. Safe Streets USA is one of ADT’s oldest, largest and most respected Authorized Dealers. As an ADT Authorized Dealer, we only sell and install ADT-monitored security systems. Our ownership group and senior managers have extensive industry experience and are knowledgeable on the very latest industry developments regarding products and technology. Headquartered in Garner, NC (Raleigh metro area), we operate in 27 states and the District of Columbia and have a network of nearly 200 trained Installation Consultants across our footprint to provide professional installation and service to every one of our customers. We also offer same day installation throughout most of our service area. In addition to our highly trained staff, we use only the finest equipment authorized by ADT. From basic security systems to premium ADT Pulse home automation systems, you can be assured you will be receiving a professionally designed and installed security system with the features you desire. The right culture and a “tone at the top” are critical to success in any organization and SafeStreets USA is no different. For us, we set a high standard we call the “SafeStreets Standard”. Every employee in our company strives to achieve this standard in every interaction we have with our customers, vendors and employees. My installation tech was awesome! He was incredibly knowledgeable, detailed oriented and great-humored. The whole experience was surprisingly a true and utter joy!